When you lock your doors at night, you think, “Phew, I’m safe!” Locks mean safety. Locks mean security. And it turns out the same is true in the world of home loans, where you may encounter the term “mortgage rate lock.” So what exactly does this refer to? A mortgage rate lock is a commitment by a lender to give you a home loan at a specific interest rate, provided you close on your home in a certain period of time (which is typically 30 days from when you’re approved for your loan). This rate lock offers protection against fluctuating interest rates—useful considering that even a quarter of a percentage point can take a huge bite out of your housing budget over time. So your goal, of course, is always to lock in the lowest rates. And that’s why mortgage rate locks are so important for peace of mind: No matter how wildly interest fluctuates, once you’re “locked in,” you know what you’re in for once you’re making monthly mortgage payments on your home. And you can plan your long-term finances accordingly. 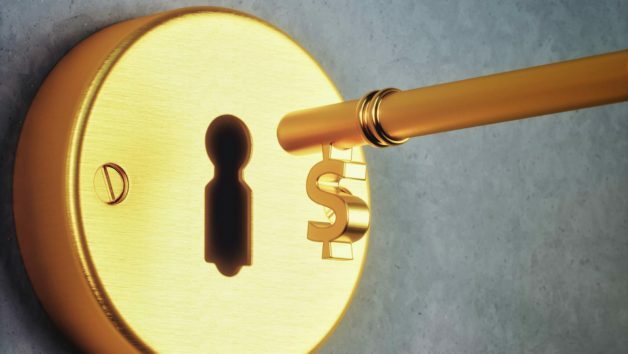 When (and for how long) should you lock in a rate? Many borrowers obsess over the best time to lock in a mortgage rate, worried that they’ll pull the trigger right before rates sink even lower, and miss out on saving thousands of dollars more. The truth is, trying to time your mortgage rate lock perfectly is about as impossible as accurately predicting the stock market. So, don’t torture yourself with minor ups and downs. A far bigger question to consider is where you are in the process of finding a home. While you can lock in your rate at any time and for a wide range of durations (up to 120 days), most experts say it makes sense to lock in a rate once you’re “in contract” on a home—which means you’ve made an offer that’s been accepted. As for the length of your rate lock, the good news is most lenders will offer a 30-day rate lock at no charge to you. In addition, as a result of new federal lending disclosure rules, loans are taking slightly longer to close because of additional paperwork, so many lenders are extending rate locks to 45 days as a courtesy to keep your business. But overall, Brandon Haefele, president of Sacramento-based Catalyst Mortgage, recommends always erring on the side of caution: For example, if you are in a 45-day contract to purchase, he might recommend locking the rate for 60 days as a cushion. “Then if any surprises or delays pop up, you won’t have to worry,” he says. If your home closing drags on past that point, you can extend your lock, but you’ll end up paying extension fees for that privilege. Locked in … or locked out of savings? It sure feels good to be locked in at an appealing interest rate and know you’re protected if rates start surging. But what if rates plummet? Are you then locked out of the better deal? In other words, if interest rates drop, you may not be entirely out of luck if your lender is eager to have you on board. Some lenders and banks may do this for free; others may charge a fee. Be sure to ask upfront, as well as shop around at different lenders for the best rates and terms.